We turn difficulties into opportunities! If you can be flexible with your event dates, you could save up to 20% on guest rooms, during off-peak times & periods. 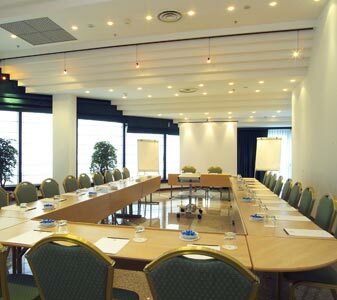 For a flawless meeting, when every detail must be perfect, choose the Grand Hotel Barone di Sassj conference facilities. Discover our flexible spaces that adapt perfectly to the most demanding presentation and communication requirements. 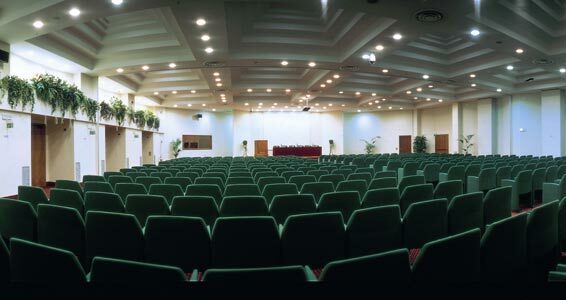 A unique setting for business or social events, banquets, presentations or board meetings. 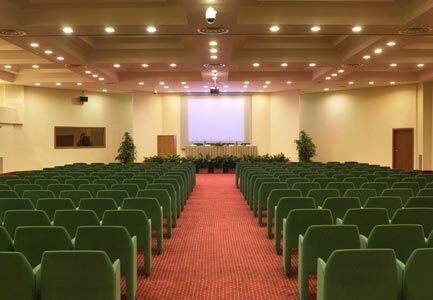 Our “Ballroom Valadier” accommodates up to 500 participants (theater style), has a dedicated ample backstage which sets the ideal location for beauty contests, press conferences, gala dinners and any venue that deserves a classy environment. 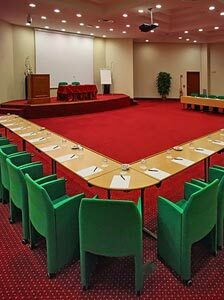 Five other meeting rooms, a stunning ample foyer, wired or wireless high speed connection throughout and the latest in technology (including audiovisual equipment), make our versatile facilities the place to choose whatever the need.